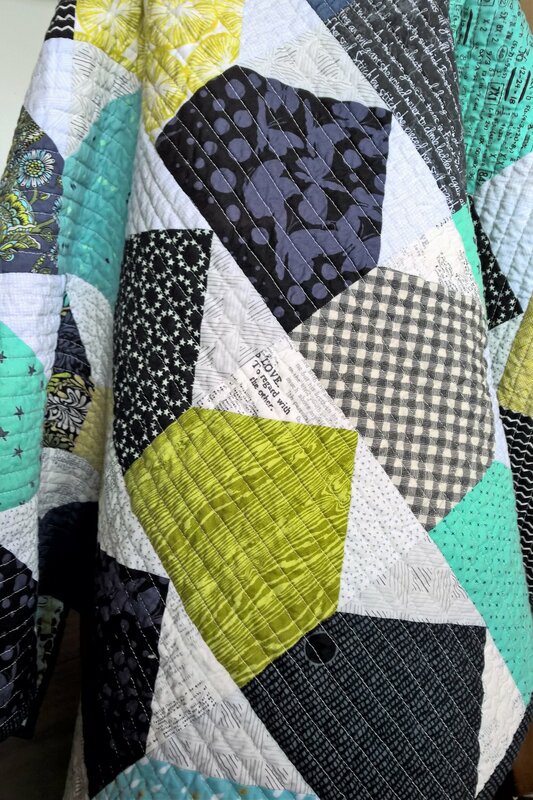 Cheers to another quilt finish! 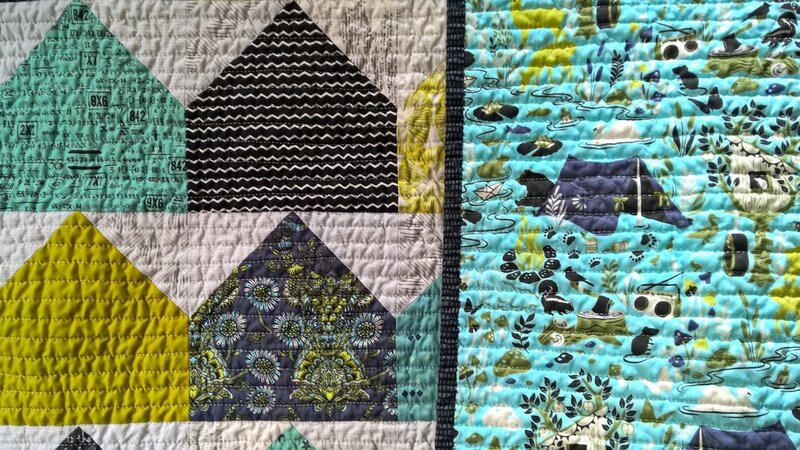 I named this sweet baby quilt "Backyard". 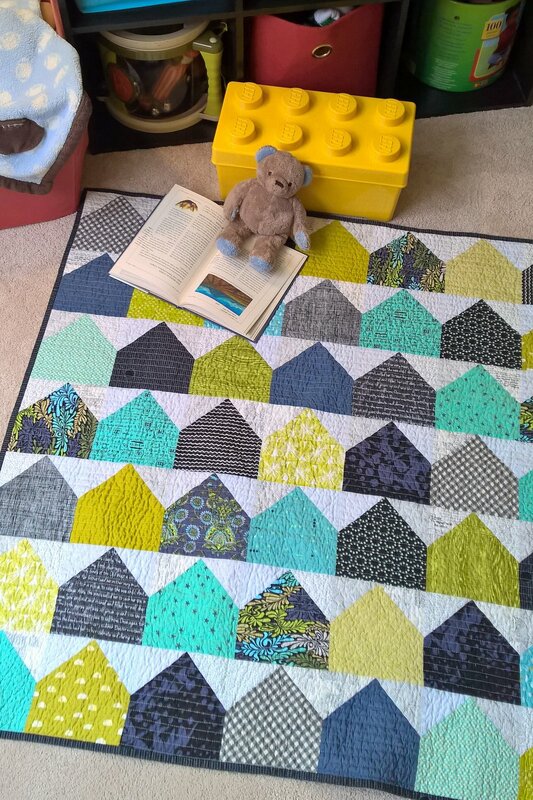 I love this adorable house block and started with this tutorial from Jeni Baker of "In Color Order"; I made some tweaks so my blocks would finish at 6". I raided my stash for aqua, chartreuse, black, and indigo as well as a mix of low volume prints for the top. 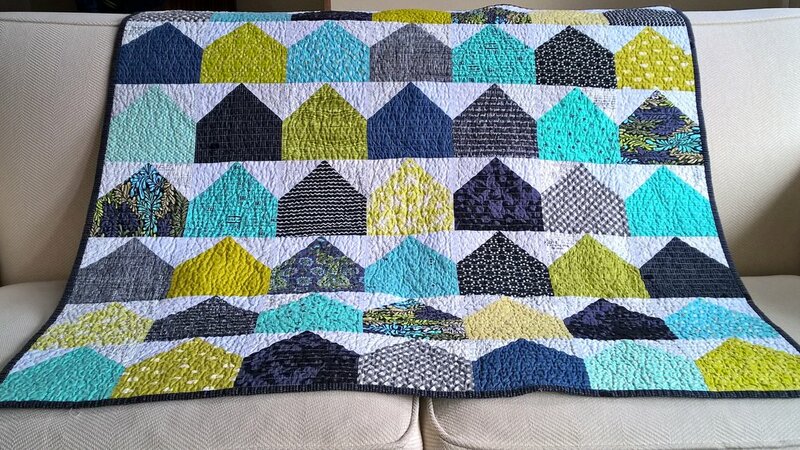 The pull was inspired by the fun camping print from Tula Pink's "Moonshine" collection that I used for the backing. 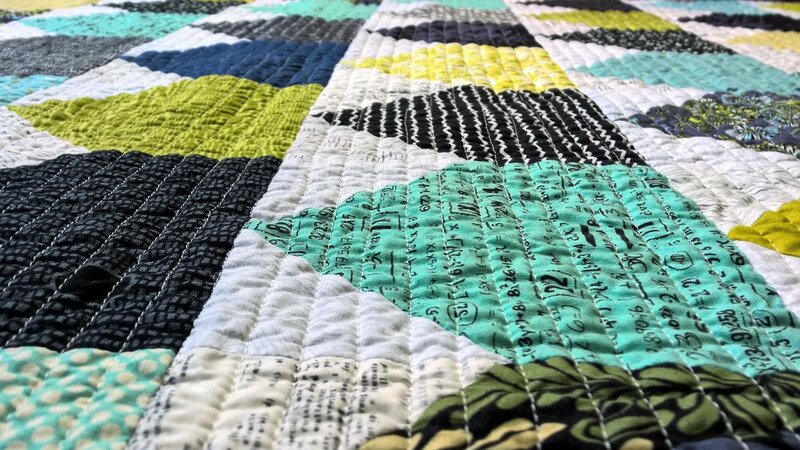 Dense straight(ish) line quilting in off-white thread creates a fantastic texture, yum! I imagine playful hands rolling tiny cars and sleepy fingers running along the stitches at night. Bound in the Ladder Dot print from Denyse Schmidt's "Chicopee" collection. 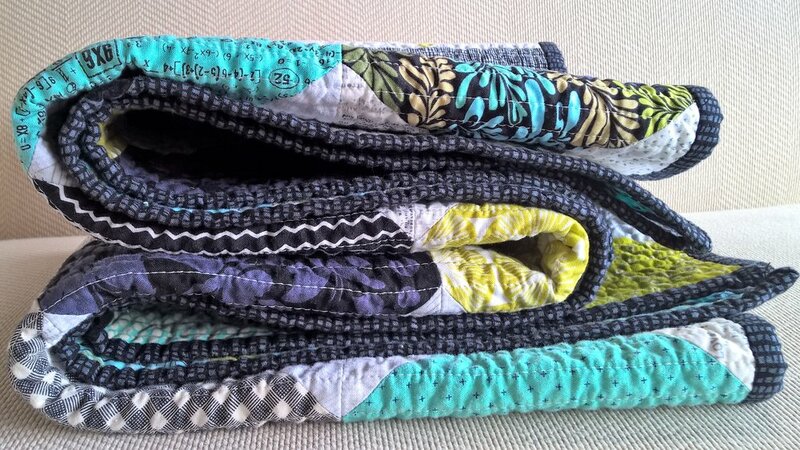 I heart this print for binding; love me some stripes! And some fun beauty shots to leave you with! Thanks for visiting!